When it comes to taking advantage of the extraordinary health benefits of ginger, you have an incredible number of options, including many do-it-yourself home ginger remedies. Ginger (Zingiber officinale) is not only a popular hot, pungent culinary spice; it’s also a medicinal plant that since antiquity has been widely used in herbal medicines all over the world. Ginger is best known for its marvelous ability to help with any kind of digestive upset – from nausea to morning sickness to indigestion. It can even be used to reduce gas, bloating and flatulence. But traditional systems of medicine use ginger to treat arthritis, rheumatism, sprains, muscular aches, pains, sore throats, cramps, hypertension, dementia, fever, infectious diseases, nervous system diseases, asthma, stroke, diabetes, and various digestive ailments. Researchers have identified several active constituents of ginger, namely gingerols and shogaols. The healing actions of ginger’s active compounds have been scientifically verified in test tube and animal studies to include immune-boosting, cancer-prevention, anti-inflammatory, anti-nausea, anti-oxidant, blood sugar-lowering, cholesterol-lowering, and blood pressure-lowering actions. While it is certainly acceptable to purchase ginger already prepared in the form of capsules, tinctures, syrups, candy, teas, and more, it’s also valuable to learn how to use the fresh rhizome to make your own ginger remedies from scratch at home. The following 5 recipes for home ginger remedies offer a variety of ways to take advantage of ginger’s wide range of healing actions. The well known herbalist Susan Weed recommends this compress as an easy, effective, inexpensive way to reduce pain and inflammation. It’s great for those who don’t like the taste of ginger. Grate 5 ounces of fresh ginger root onto a clean piece of cloth. Gather the ends of the cloth together and secure them with a piece of string. Put the bundle into a pan with 2 quarts water and heat to 158 F or just until you see bubbles forming on the bottom of the pan. Keep a low flame under the pot until the water turns a pale yellow, 5-15 minutes. Pull the bundle out of the water, and squeeze it to extract all its liquid. (Add to pan.) Soak a small towel in the hot ginger liquid. Wring it out and apply the hot wet towel over affected area. Cover the compress with layers of towels to retain the heat. When it cools, soak it again in the hot ginger water, and reapply. Continue until the skin gets very red and warm. Repeat at morning and night. An easy way to quiet coughs and sooth sore throats is to combine ginger and honey. Cut fresh ginger into small pieces and place into a jar. Pour in enough honey to fully cover the ginger. Let steep for at least one week, opening daily to ensure trapped gasses can safely escape. When you are satisfied with the strength of your honey, strain it through a cheesecloth and store in a jar. Take a spoonful straight or add to hot water to make a tea. This hot, spicy and sweet beverage by famous herbalist Rosemary Gladstar is a wintertime tonic and/or remedy for colds and coughs. Chop fresh garlic, onions, and horseradish into small pieces; enough to fill a wide mouth quart jar nearly half full. Grate fresh ginger and add about half the amount of the first three ingredients. The amounts and proportions vary according to your particular taste; you can always adjust the flavors in future batches. Cover with Apple Cider vinegar (keep vinegar about two to three inches above the herbs). Add a small amount of cayenne to taste. Let sit two to three weeks. Strain and discard herbs. Add honey to taste. Sip a few ounces as a tonic. 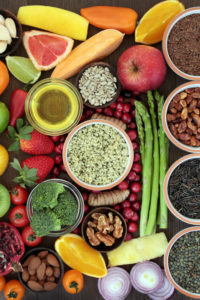 Naturopathic physician Debra Brammer, ND, presented this recipe during a talk called “Herbs to Support Immunity,” in 2011 when she was clinical dean of naturopathic medicine at Bastyr Center for Natural Health. Combine the broth, onion, ginger, garlic, mushrooms and simmer for 15 to 20 minutes. Remove from the heat and add lemon juice, carrot, parsley and lemongrass if using. Put cover on pan and steam for 5 minutes. Remove lemongrass before serving; eat up to 4 times a day. Infusions and decoctions are other simple options for ginger remedies. For an infusion, pour a cup of boiling water onto l teaspoonful of the fresh root and let it infuse for 5 minutes. For a decoction using the dried root (chopped or powdered) bring dried ginger (plus cinnamon, cardamom, and cloves, if you desire) to a boil and then simmer for 15 minutes before straining and adding fresh lemon and/or honey to taste. 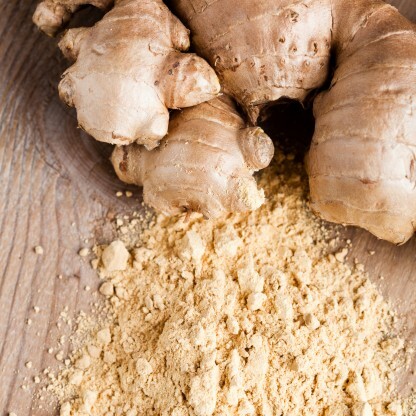 Do you have your own ginger remedy recipe? If so, share it in the Comments section below. Let’s help each other stay healthy and happy! Food Chem Toxicol. 2008 Feb;46(2):409-20. This post was originally published in February 2014 and has been updated. add, anti inflammatory, apple cider vinegar, arthritis, arthritis rheumatism, asthma, benefits of ginger, bloating, blood pressure, blood sugar, cancer, cancer prevention, cholesterol, cholesterol lowering, cramps, dementia, diabetes, digestive, food, garlic, ginger, ginger remedies, health, herbal medicines, herbalist, honey, hypertension, immunity, indigestion, inflammation, lowering cholesterol, natural health, naturopathic, naturopathic medicine, naturopathic physician, pain, pains, recipe, rheumatism, skin, sore throat, sore throats, stay healthy, strength, stroke, sugar, supplements. I use ginger in my beet KVASS, stir fry vegetables, and as a spice in Chai tea. I like cooking with culinary doses of medicinal herbs. tea, soups , pelau , chicken ,meat fish and stir fries .